Your words can make a big difference. Make sure you know the student well enough to recommend them. It’s okay to ask a student to provide you with a list of accomplishments and extracurricular activities. You can use these details to complement more personal narratives. However, if you find that you don’t really have personal details to add, you may want to consider whether you are the right person to write that student’s recommendation. If I feel that I don’t know a student well enough or don’t feel comfortable recommending them for some other reason, I just politely decline the request. I usually tell these students to ask a teacher who knows them better. Open with a formal salutation. To Whom It May Concern and Dear Admissions Representative are both acceptable salutations. Use a colon instead of comma. Your letter is a business letter and requires a business letter format. When mailing a letter, make sure to print it on your school letterhead. Paragraph 1: Introduce the student. 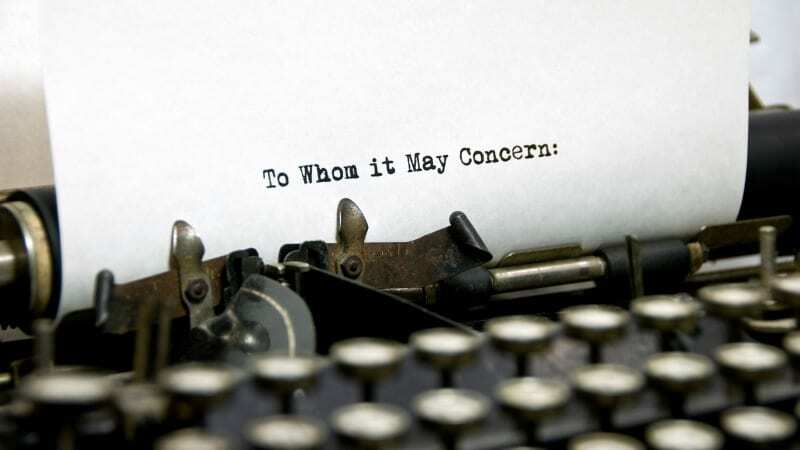 Try beginning your letter with something the person tasked with screening hundreds (possibly thousands) of recommendation letters will remember. I like to start with an amusing or poignant story that illustrates who the student is and how others perceive them. Make sure to use the student’s full name for the first reference and then just the first name after that. My favorite strategy is to end the paragraph with a single sentence that highlights the student’s strongest characteristics, in my opinion. Paragraphs 2 and 3: Write more about character, less about achievements. In the body of the letter, focus on who the student is rather than what the student has done. Between test scores, transcripts, and the dozens of questions on the application, admissions representatives have plenty of information about the applicant’s academic and extracurricular experiences. What college reps want to know is how the student will fit into their environment. Give specific examples of how the student achieved—did they overcome obstacles or tackle any challenges to reach their goals? I usually write two short paragraphs for the body. Sometimes the first relates character to academics, and the next relates character to extracurricular activities. Other times, I use the student’s characteristics as the main focal points. Paragraph 4: Conclude with a direct recommendation. Conclude with a sincere statement of recommendation for the student to the college of their choice. When sending the recommendation to a single college, use the college’s name or mascot in your recommendation. For a recommendation that will be used for multiple applications, such as the Common App, leave out specific references. Lastly, I return to using the student’s full name in my final reference to them in the letter. Wrap it up with an appropriate closing. My last statement encourages the college to contact me with any further questions. I close with Best regards, currently my favorite valediction; it is professional and simple. I also include my title and school after my typed name. 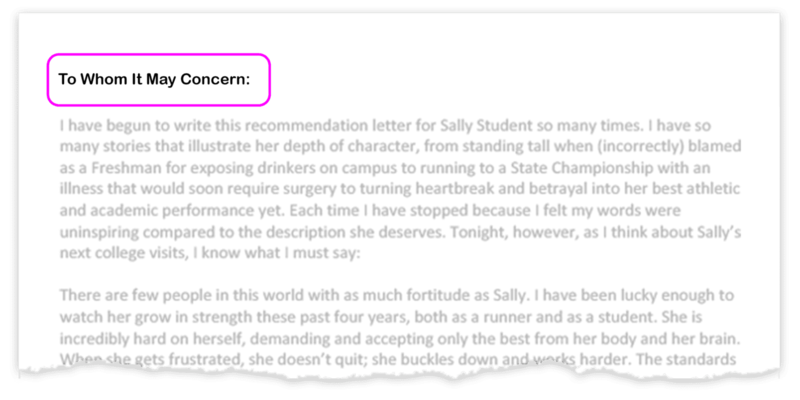 Keep your college recommendation letter under a page—and proofread! The sweet spot for admissions letter length is between two-thirds and one full, single-spaced page, using Times New Roman 12-point font for printed letters or Arial 11-point font for electronically submitted letters. If your letter is too short, you risk appearing less than impressed with the applicant; if it is too long, you risk seeming insincere or boring. Finally, remember that you are writing a recommendation to an academic institution. Your reputation and credibility as an educator rest with your letter. While proofreading, check for active voice, proper grammar, and a formal yet warm tone. If you are unsure of the content or conventions you’ve used in your letter, ask another teacher who knows the student to read your letter and provide additional insight. Good luck to you and your students this college admissions season! 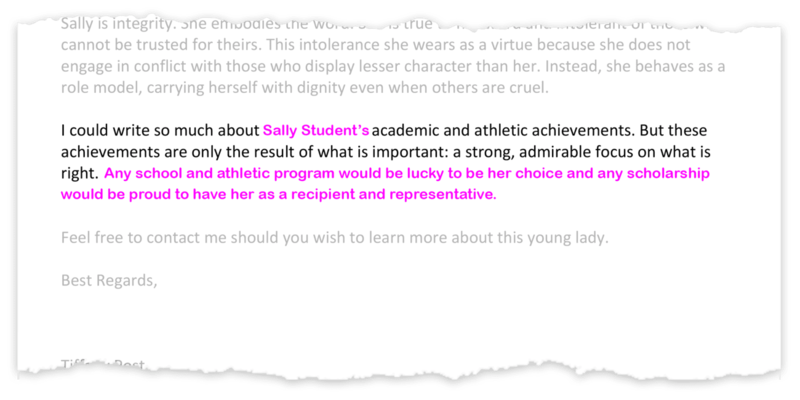 May the pride you have for your students resonate in your recommendation letters for them, and may they get into their reach college. 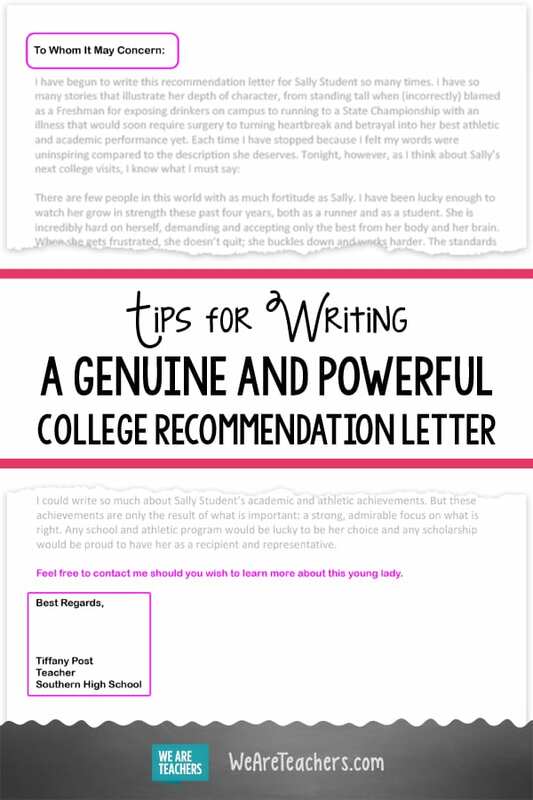 Do you have any college recommendation letter tips to add? Come and share your ideas in our WeAreTeachers Chat group on Facebook. Plus, check our free college admissions timeline poster.